Oak Flats Newsagency supplies stationery and office supplies throughout the Illawarra. Here on our website you will find thousands of products, great prices and easy online ordering. 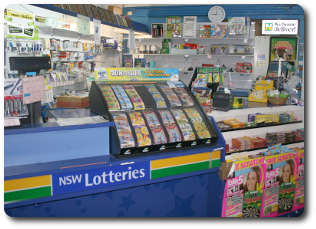 You will also find lots of information about all we have to offer in our Newsagency and NSW Lotteries agency located at 74B Central Avenue, Oak Flats. For further information just follow the links on the Newsagency, Newspaper Deliveries and NSW Lotteries menus on the right.